The main focus of my work is numerical cognition and its development over lifespan. 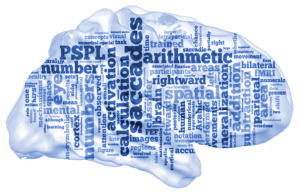 I am currently investigating the interaction between working memory and mental arithmetic, the impact of the number sense on approximate calculation, and the neural consequences of arithmetic fact learning. Activities are centered on the assumption that our mental arithmetic capabilities are based on the innate number sense, i.e. the ability to perceive and differentiate numerosities. Mental arithmetic co-opts or “recycles” evolutionarily older circuits with a related function, thus enriching (without necessarily replacing) their domain of use. In the case of mathematics, although foundational intuitions such as number sense and spatial maps are present in many animal species and in humans prior to education, mathematical constructions vastly exceed these initial domains of inherited competence. It has been argued that analogies between number and space play a crucial role in the expansion of mathematical concepts. Here, I investigate the role of visuo-spatial functions in mental arithmetic. I use reaction time analysis and functional magnetic resonance imaging (fMRI) as research tools to approach these issues. 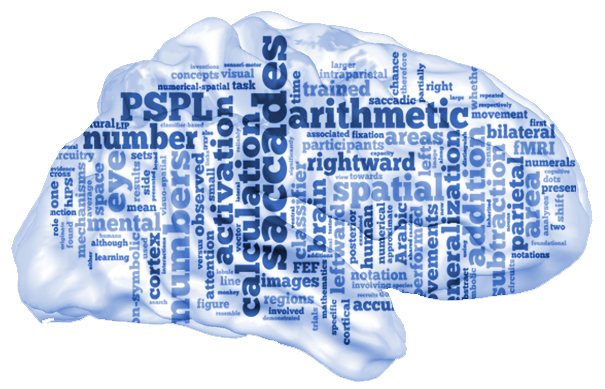 I use univariate (GLM) and multivariate (MVPA) procedures to analyze fMRI data. Functional (PPI) and structural (DTI) connectivity analyses complement our approach which is characterized by the notion that cognition relies on the dynamic interplay between multiple networks throughout the brain. Get all the NEWS from our lab by following this link.